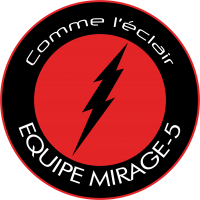 “The attacks will strike like lightning, they will arrive like thunder and will finish before anybody can react.” Operational doctrine of the Mirage Teams. “Comme l’éclair” (Like Lightning) Reduced version of it in its insignia. The Mirage Teams are special units of small size, created originally by the Merovingian Army to perform military operations denoted as “surgical”: fast, very tough and spectacular, in which stealth is not important. The missions of Mirage Teams see a high risk level and elevated casualty count. 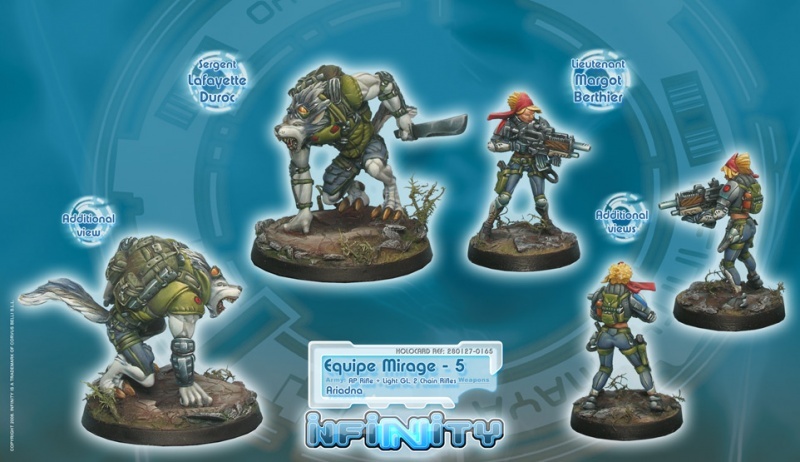 The Mirage-5 Team, formed by Berthier and Duroc, is one of the oldest and most successful teams. Lieutenant Margot Berthier is an ex-NCO from the Merovingian airborne troopers, from there passing to the Special Operations Command of the Ariadnan Army’s Military Intelligence. 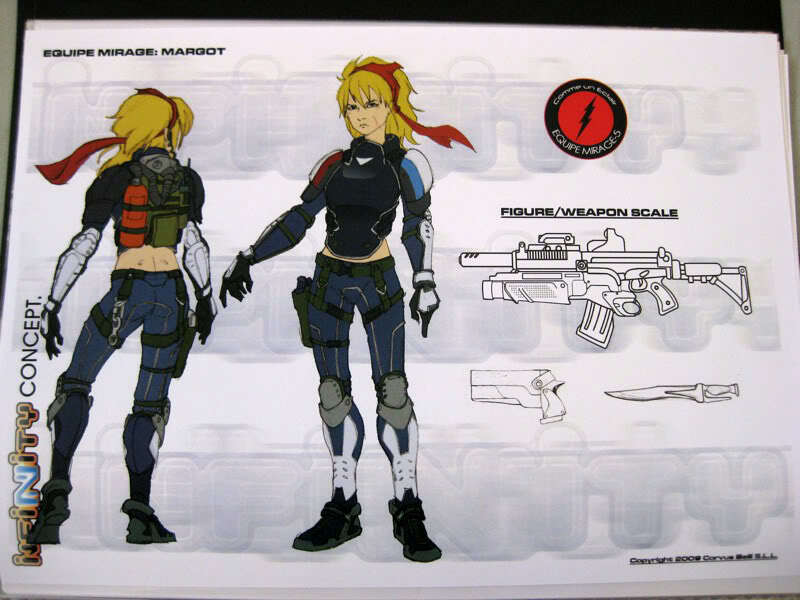 She also lead an airborne shock commando troop in the Ariadna Exemption Zone, heading various extremely successful attacks against Panoceanian forces that tried to advance in the area. However, the commando group lost effective strength from every mission due to the high risk rate. After six months of operations, the only survivors of the commando group were her and another NCO, so the unit was disbanded. Trying to overcome the deaths of her comrades, Margot requested a transfer to the Moblots, the Merovingian heavy infantry. The new environment helped her to calm down and polish her combat skills. When she felt restored, Margot came back to Intelligence. A few missions later, she recovered her Mirage Team status. In Intelligence circles, she is the only operative readmitted to the Mirage Teams after a leave of absence. Berthier has the reputation of being a shrewd, tough and sly officer, and an excellent shot as well. She has a personal and deadly style, characterized by her absolute precision and an almost perverse apparent lack of effort. In one of her missions she met Duroc, perceived his potential, and recruited him to the Mirage Teams. Since then, they have constituted a tight tactical team, covering their backs mutually. Margot is the brains and the markswoman of the team, while Duroc is the muscles and provides the psychological impact of extreme and sudden violence. “I can tear a guy’s leg off by its roots, and use it to smack down sixteen of his buddies… It was a useful skill when I was behind bars… I suppose that’s the reason why they want me to be in the army [...] Yes, they say my work is nothing but smashing and killing…but I prefer to call it something like… staff reduction or… cleaning house.” Extract from the evaluation interview of Duroc for the Mirage Teams. Duroc is one of the few Dogfaces capable of performing combat jumps, with a parachute or from a helicopter. The instinctive fear of flying most Dogfaces suffer, and the stress and excitement of imminent combat, normally provokes their violent transmutation to Dog-Warriors, with unfortunate consequences for vehicles and their crew. Sergeant Duroc has no more willpower than any other Dogface, but the presence of Lieutenant Berthier has a remarkably relaxing effect on his state of mind. Of Corsican descent, Angelo Lafayette Duroc fits the pure Corsican stereotype, a creature of violent passions and terrible revenges. He is addicted to chaos, spending his youth fighting a blind war against any form of established order, and he hasn’t improved with the passage of time. Duroc was much too violent to be part of a Dog-Bowl team – and you have to be off the brutality scale to be forbidden to play – so he served four years in a Dog-Warrior regiment assigned to Tartary. When he was fed up with the discipline, he left the regiment to became a boxing instructor for the Navy School at Dalniy. In his free time, he worked as an enforcer for a local underworld boss, until he went too far on a job and served five years in jail for homicide. Once he was out of prison he recovered his former job, and rejoined the old routine of violence and alcohol. When they commissioned him to take care of a female Merovingian agent who was walking around the docks asking too many questions, he assumed it would be an easy job. However, the agent was better than he expected, and for the first time, Duroc failed to carry out a contract, falling into his own trap. At this point, logic and hard-boiled literature would dictate that Duroc should have died. But, for some mysterious reason, Margot spared his life. Full of admiration for her, and knowing that his position was questionable after being captured, Duroc decided to take the bull by the horns and help the beautiful agent. 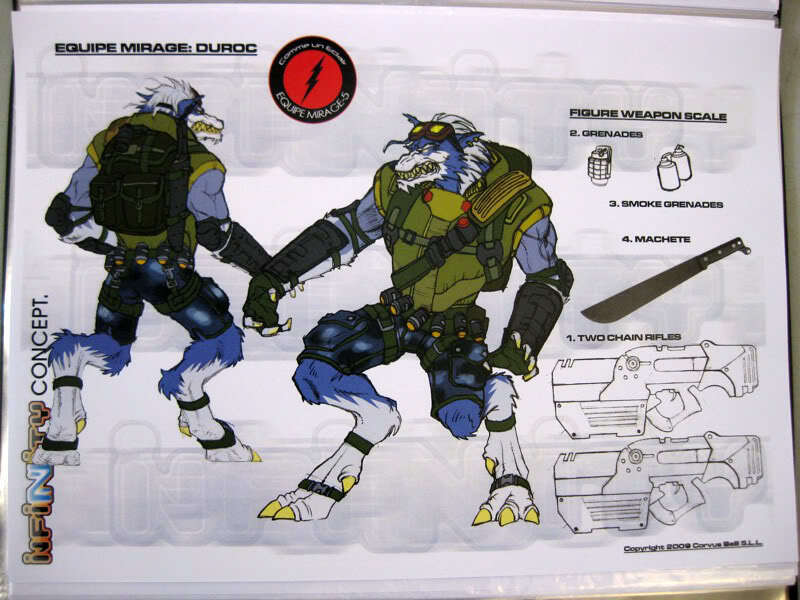 When the mission was completed, Margot sought the re-admission of the ex-Dog-Warrior to his former regiment, but ended up transferring him to the Mirage Teams. Since then, Duroc carries out high risk missions for the Ariadnian Army alongside Margot, and he doesn’t mind flying, as long as she is by his side.